As 81% of enterprises embrace a multi-cloud strategy, it becomes critical that data and applications are always available across all cloud types including private, public, and hybrid clouds to meet the innovation and competitive demands of your business. By utilizing Veeam’s data protection solutions, you can leverage private, public or managed clouds to protect your data offsite. You can also leverage the cloud for disaster recovery by replicating your data to the cloud to meet your RTO and RPO requirements. It’s your data, you own it, you control it… and you need to protect it. Whether you’re using an IaaS or SaaS solution, you can protect your data by using an availability solution from Veeam that copies your data to another location – whether on-premises or to a cloud data center. Enterprises moving to a multi-cloud strategy can get the most out of their cloud investments by protecting data within any cloud, and across Availability zones. This level of mobility ensures that applications and data remain Always-On™ regardless of their location. Protecting organizational data in the cloud is not a one-size-fits-all endeavor. Download this report to learn more about what to look for when evaluating cloud-based data protection services. Disaster Recovery as a Service revolutionizes DR planning and implementation, and this guide gives you the tips and best practices to make your journey simple! Microsoft's primary focus is on managing your Office 365 infrastructure and maintaining uptime to your users. They are empowering YOU with the responsibility of your data. Read this guide to uncover the reasons why you need to protect your SaaS data. We trust Veeam to protect your data, and there’s a reason why! Check out this page to learn more about why customers, industry leaders and top technology providers advocate for Veeam. Veeam and CenterGrid provides solutions that deliver Intelligent Data Management for the Hyper‑Available Enterprise™, which enables recovery time and point objectives (RTPO™) of < 15 minutes for all applications and data. 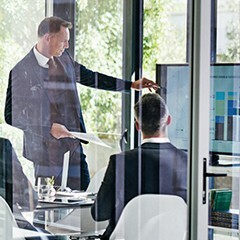 Interested in learning how Veeam and CenterGrid can help your business? Veeam Backup and Replication delivers Availability for all workloads — virtual, physical, and cloud (including VMware vSphere and Microsoft Hyper-V) — from a single management console. 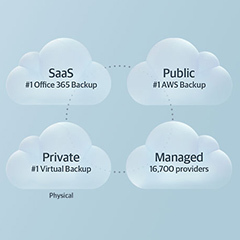 It provides fast, flexible, and reliable recovery for your applications and data, and brings backup and replication together into a single software solution.